Safe drinking water is an essential element of our daily lives. We, as proud producers of SteriPure® believe in the concept of making life’s necessities very simple and affordable. We believe in making products that harness the power of technology available to our generation. We build the convenience of anytime, anywhere usability right into each unit. Think about your LAN phone. It is fixed to your wall and limits your motion.By contrast, your cell phone, with its advances in technology, allows you to do many functions with the utmost ability , anytime and anywhere with safety and security.That intelligent technology is the difference! 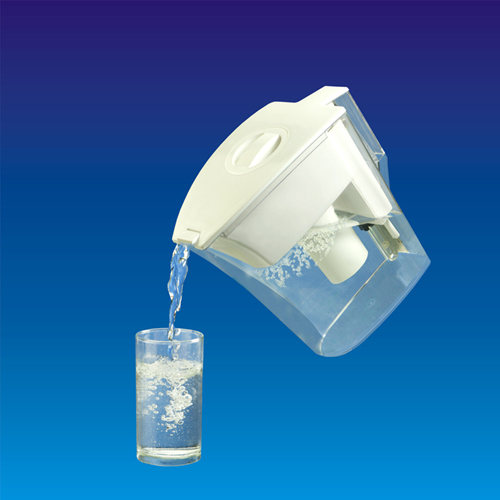 It is the difference between the water purification systems that are on the market today and the SteriPureTM system. Our hand held system with state of the art microprocessor technology makes SteriPure one of the outstanding inventions of the current generation. The Dual Function water purifier has filtration technology combined with UV technology to remove unwanted chemicals and purify microbiological contamination. Today, bottled water is a real threat to the environment and is one of the contributors of global warming (URLs on bottled water issues and global warming). Water was never meant to be supplied in a sealed container and transported at alarming cost. SteriPure provides you with a wonderful option of treating your own water at pennies of the cost of bottled water, at your convenience. Like all other technologies, we do not squeeze the water. However, we target and remove unwanted chemicals and treat for impurities at all times with intelligence inside. We know that you have always wanted to drink your own tap water. 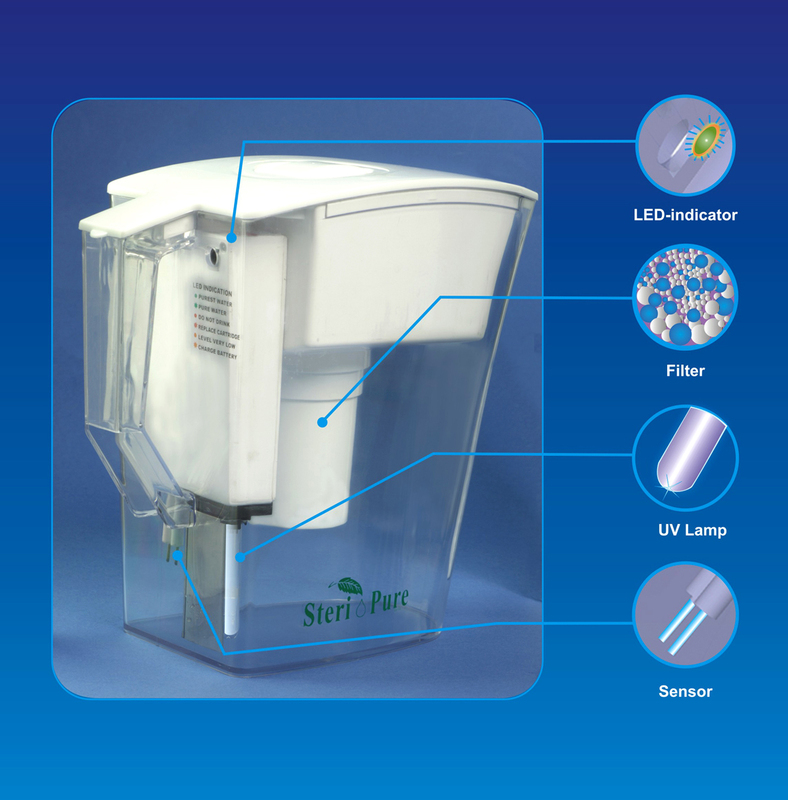 We just want to ensure that your water is safe and sterile with our simple, affordable purifier, SteriPure™.